A river cruise on the Seine offers a smorgasbord of regional wonders. On this journey, however, that’s only the entrée. Cruise along the Seine to fascinating riverside attractions. Some, like Lyons la Forêt, are beautiful beyond words. Others, such as Rouen, offer insights into history. From there journey to beautiful Honfleur before returning to Paris. 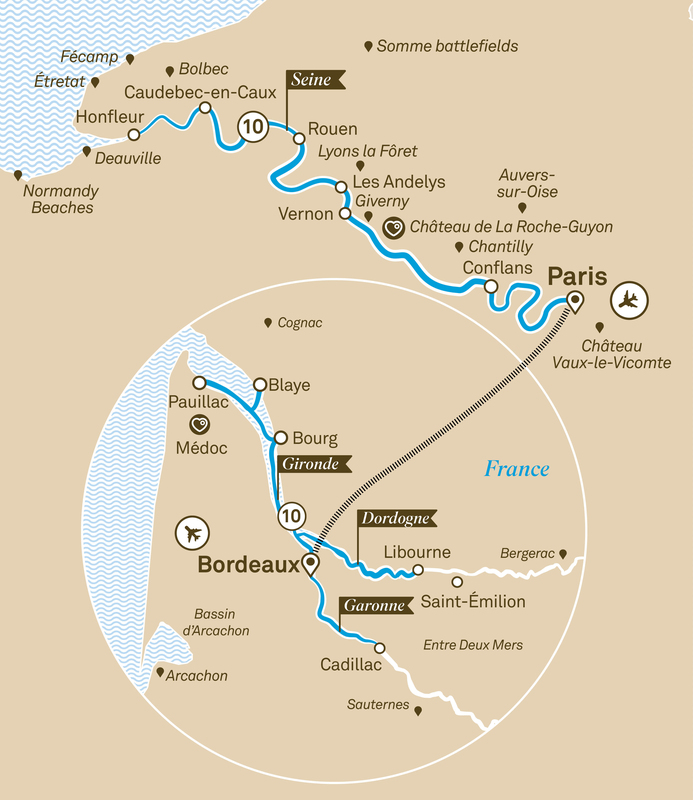 Your second course, the beautiful Bordeaux region, will delight with its delicious offerings of great food, fine wine, beautiful landscapes and centuries of drama and historical intrigue.